The mindset behind this action is telling, especially when considering the gravity of the implications of a global collapse in pollinators. 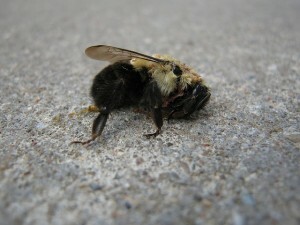 If the single largest bee die-off in history, known to have been directly caused by neonicotinoid insecticides, doesn’t prompt a more thorough and meaningful ban on the widespread use of these dangerous chemicals, then what will it take? PreviousAre You Prepared for a Water Emergency?